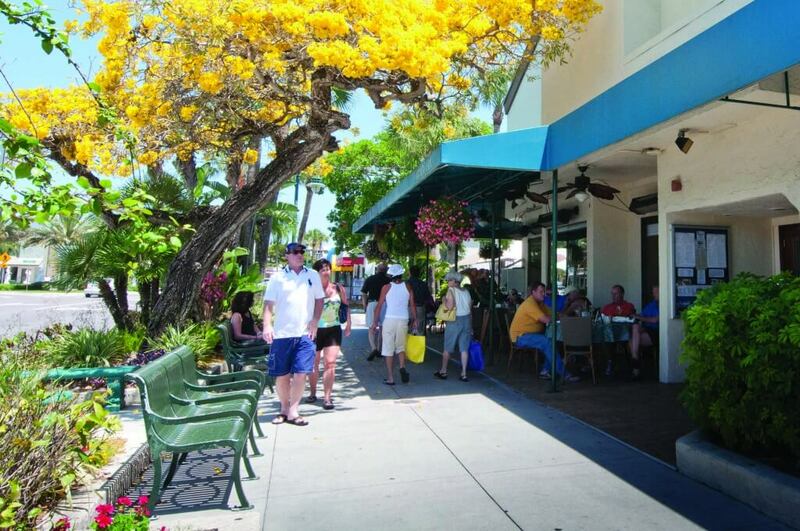 Beautifully blending past and present, St. Armands Circle is an island shopping center on Lido Key, separated from the mainland by the waters of Sarasota Bay. 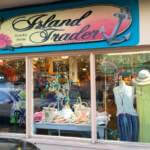 It makes a unique local landmark and an unforgettable place to dine or shop in a tropical paradise environment. 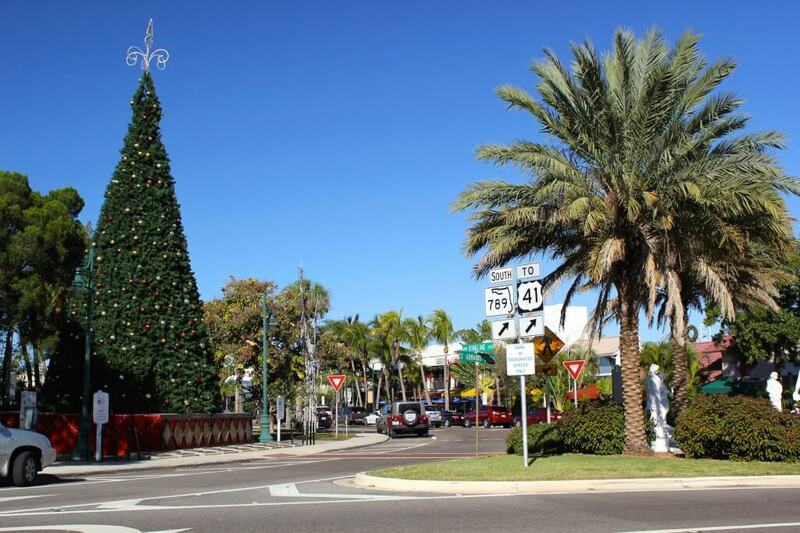 Although St. Armands Circle looks pristine and modern, it is actually in its 88th year. 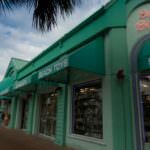 St. Armands Circle has 130 merchants all committed to the highest quality whether you are shopping for gifts and goods or dining out in this beautiful area. 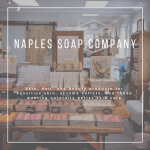 Shops include niche gift stores such as the Naples Soap Company, the Florida Olive Oil Company, and Bennington Tobacconist for a range of fine hand-rolled cigars and hand-mixed tobacco blends. Fashion and footwear are well represented with everything from Crazy Shirts and Dream Weaver to Chico’s and Brighton Collectibles. 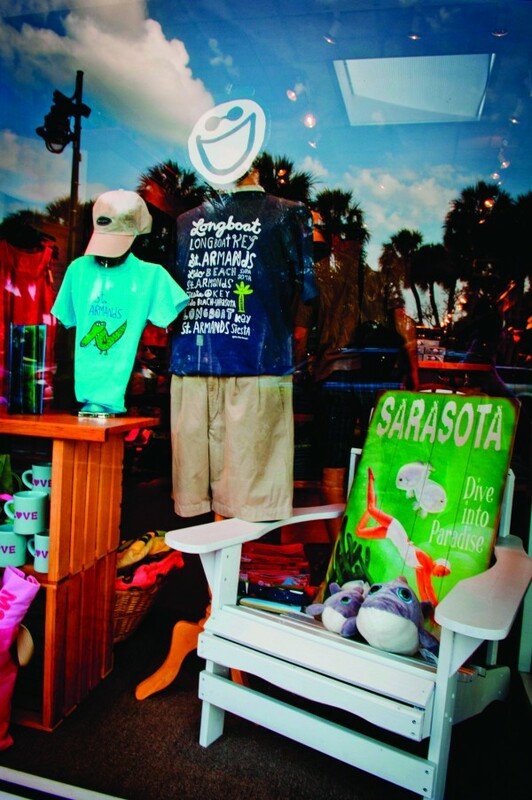 If you’re looking for a good range of comfortable quality footwear, you’ll find Sperry Topsider, the Walking Company and the Charleston Shoe Co among others at St. Armands. 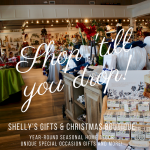 For gift shopping there are fine jewelers such as Armel Jewelers, Barbie’s Created Gems II, I Do Diamond Boutique and Queen’s Wreath Jewels to choose from or browse for ideas in Décor de France and St. Armands Antiques and Gifts for some unusual items. Art lovers will find an ever-changing display of painting at the three galleries – The Stadium, Wyland Galleries and St. Armands Art Gallery. 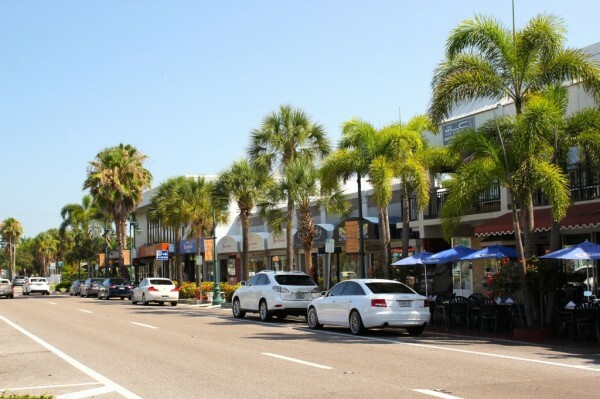 Whether you want a great local restaurant for dining out with friends or simply want to rest your feet after your shopping spree, St. Armands Circle has a wide range of places to eat. 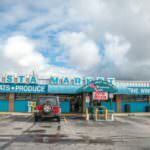 Columbia Restaurant, as its name suggests, specializes in South American, Cuban and Spanish cuisine. The handpainted tile decoration set the scene for steaming paella, fresh clams and mussels, pitchers of sangria and fresh stone crabs in season broiled with a little Latino spice. Daiquiri Deck has the best frozen daiquiris, seafood and oysters on the Circle with its Raw Bar and live music entertainment. The upscale Shore Diner matches its great location with a superb menu of organic dishes created from the freshest local ingredients supplemented by their freshly picked rooftop garden herbs. From Italian restaurants to tropical cafés and ice cream parlors, you’ll find everything you need right here on the Circle. The Circle is a fun place where there’s always something happening from art festivals to car shows, live music and culinary events. 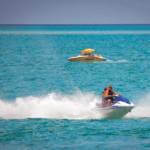 During your visit you may see boats or Porsches on display, depending upon what events are scheduled. 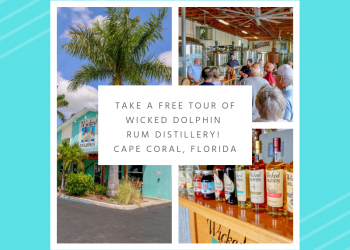 It’s definitely a place to visit on special holidays and celebrations such as Halloween or the Holidays when the magical “Holiday Night of Lights” is a seasonal extravaganza. 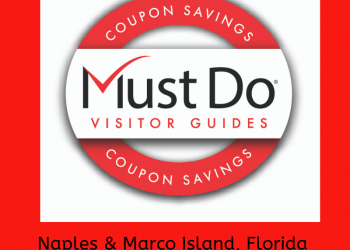 If you’re looking for quality services you can trust you will find massage and therapy stores, offices fundraising and philanthropy, real estate, travel agents, beauty salons, financial and legal services, pharmacies, St. Armands Medical Center and Tarpon Shores Dental making St. Armands Circle a one-stop shop for all your needs. Whether you want to book a vacation or buy a new home, you search can start right here! 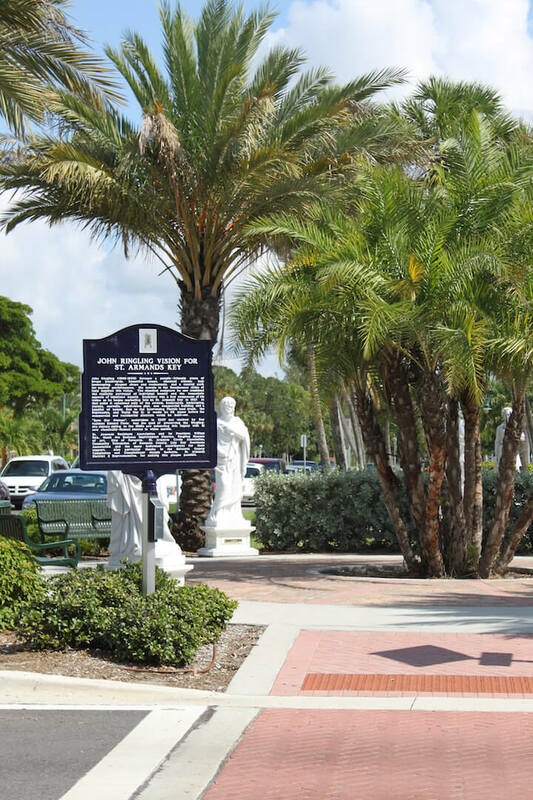 What makes St. Armands Circle so much more than just another shopping center are the statues and artworks on display. The center has been awarded the Certificate of Excellence by TripAdvisor for achieving the highest standards and is one of only three high-end shopping destinations that actually produces its own glossy magazine. Pick up one of the self-guided brochures and take your own walking tour of these beautiful statues. 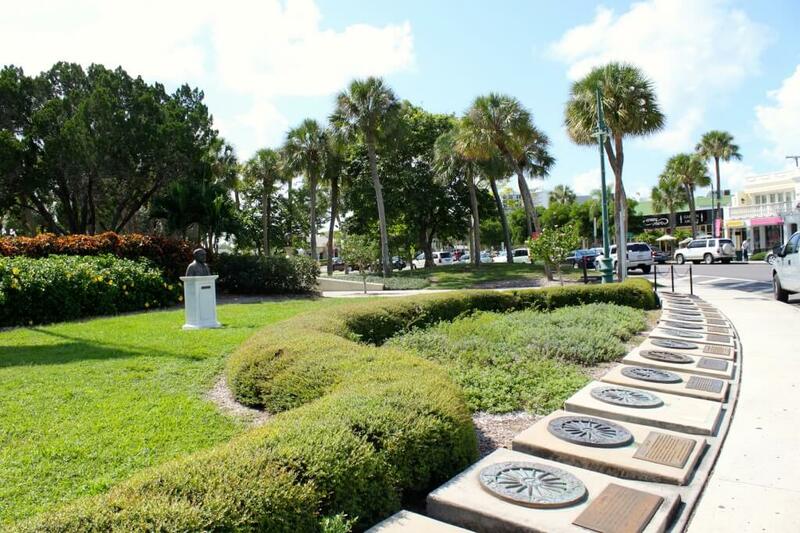 Along the way you will discover the “Circus Ring of Fame” which celebrates the legacy of the founder, John Ringling. It was his vision that first began St. Armands Circle, which now lives on as a tribute to the man and his traveling circus, even today.